Bud and Little Miss adore books. Whether looking through them on their own, or sharing them with me, their Daddy or another family member, spending time looking at books is an important part of our day. We've had a couple of personalised books before and Bud, especially, has very much enjoyed them so I was keen to accept when Lost My Name offered us the opportunity for both Bud and Little Miss to receive their own personalised book we quickly accepted. 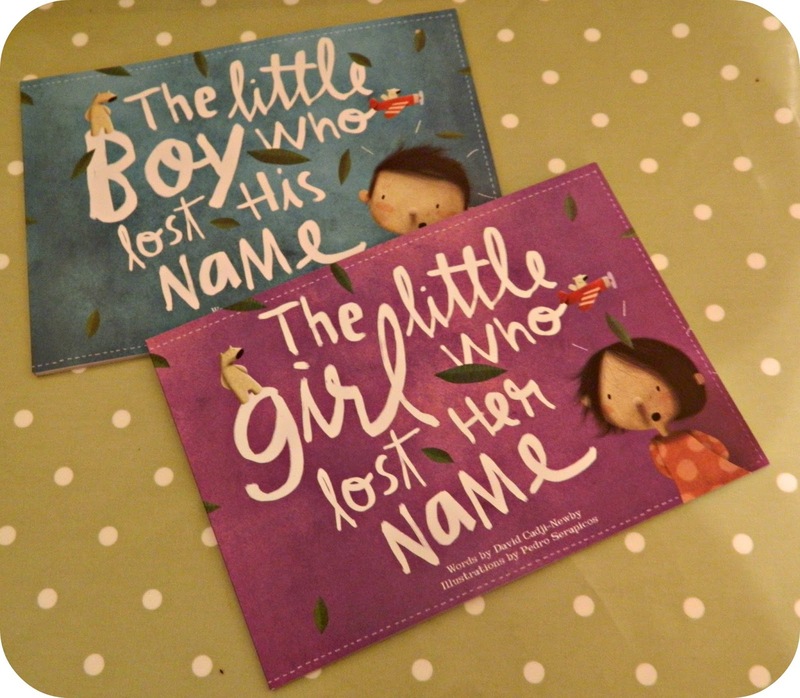 Lost My Name books have two editions - The Girl Who Lost Her Name and The Boy Who Lost His Name - each features a boy or girl who wakes up one morning to find that they have lost their name. They set off on an amazing adventure to meet weird and wonderful creatures, and track down the letters which will make up their missing name. The sequence of each story is dependent on the child's name and each character the child meets gives it the first letter of it's name. With 236 illustrations and rhyming stories created for every possible name combination, the books represent a memorable and unique gift for any child. Bud and Little Miss received a book each so we were able to see both editions, and to see how well they are put together. The books are beautifully made with lovely thick paper and are a pleasure to hold. 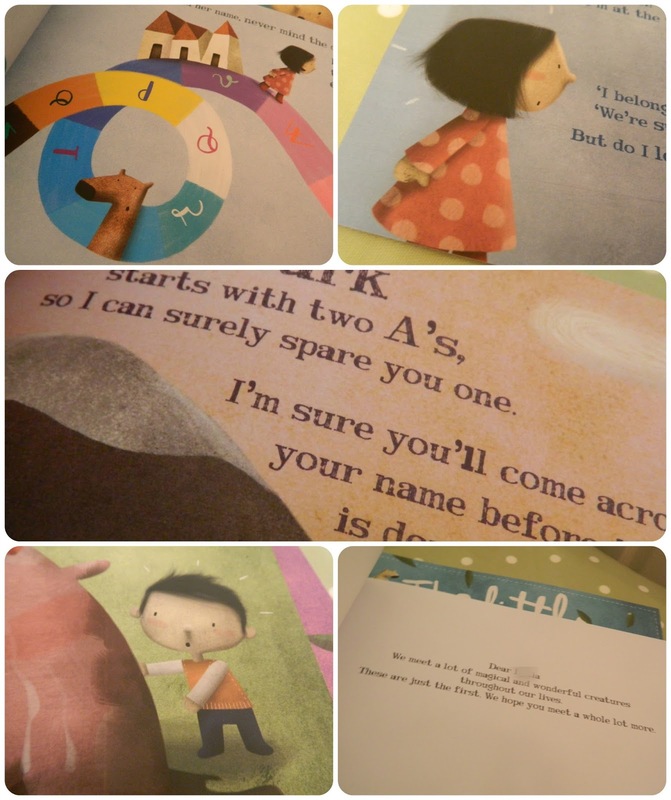 You open each book to a personalised message to the child it is for. When I read this to Bud he was completely amazed saying 'the book knows my name Mummy!'. Each story is told through rhyming story and, in Bud's case, with The Boy Who Lost His Name, we meet four different animals - one of which, the Narbarlek, was completely new to us. By chance. all of the letters in Bud's book were from animals, which was perfect for a boy with a real passion for wildlife. Little Miss' book was a little different as her little girl meets a Dragon and an Inuit, amongst the animals. Both books have the same number of pages as Bud's has a break in the story which makes the story fuller. As Bud's name is only four letters long I was quite pleased about that. If I had any small disappointment, and most people would only order one book at a time so it wouldn't be an issue, it was that one letter, common to both of my children's names had the same illustration and story in both books. It's not important and hasn't hindered our enjoyment of the books. Bud loves getting to the end when the little boy puts all of the letters he has collected to show his name, he can read his own name now and is always excited to see it on the written page. We've really loved the Lost My Name books, they are a delightful gift for any child and I can think of so many occasions in which they would be appropriate, from christenings through birthdays, Christmas, Easter or just because. The collection of the letters is reinforcing early literacy with Bud and he loves to point out each letter to be collected on the page. 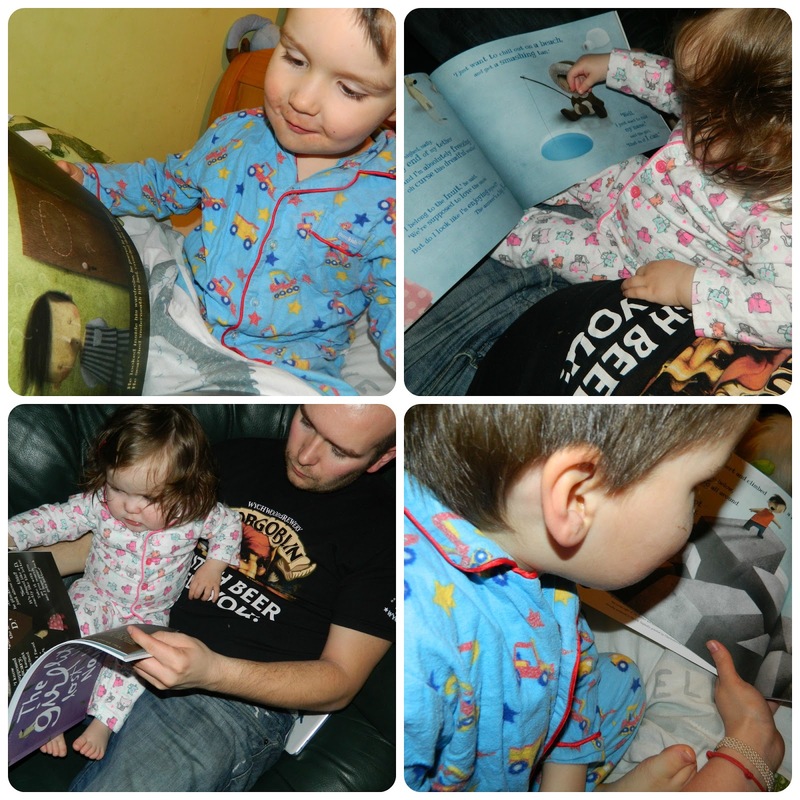 Little Miss loves to point at the pages and enjoys having the stories read to her. At £18:99 (including free worldwide delivery) they are not inexpensive but I do think it is a reasonable price for a unique, very special gift. I would certainly consider buying them as gifts for the children of family and friends. I have a special discount code for my readers - quote HappyEaster at checkout to receive a fantastic 15% off your order. Disclosure: We received these books in exchange for an honest review.